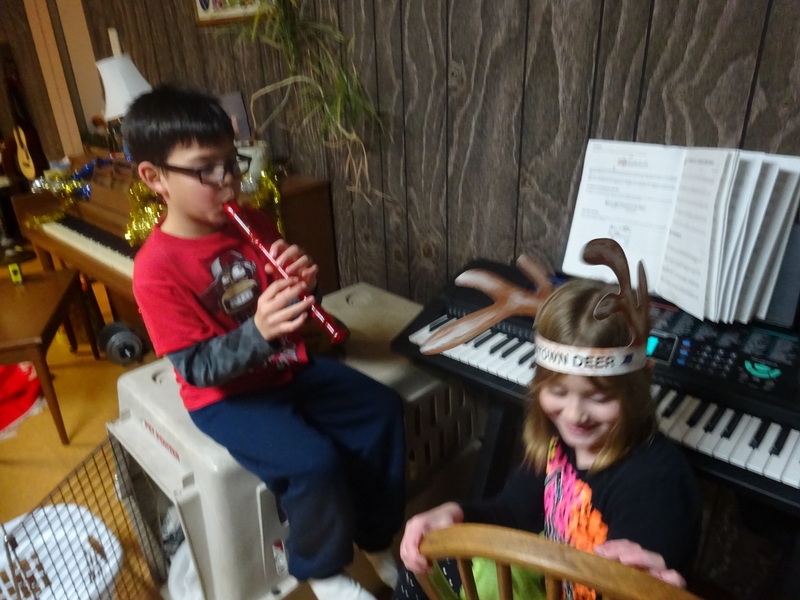 A couple of weekends ago, Sage’s friend Emery joined us for a weekend of Christmas-themed adventures. 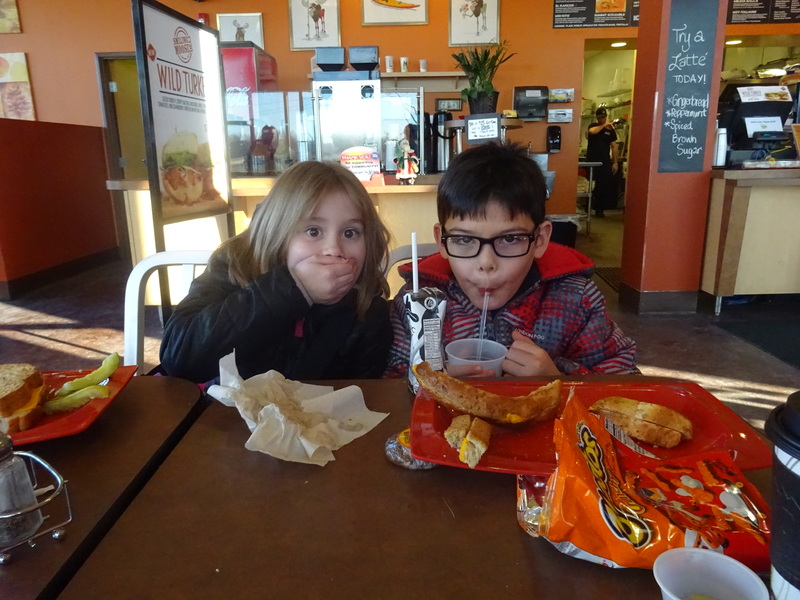 We experienced a horse-drawn wagon ride, reindeer, the lighting of the town Christmas tree, the public library’s outstanding children’s section, and (most importantly at the time) lunch. Sage demonstrates to Emery that he can indeed use a straw. Apparently both kids found their lunch quite shocking. 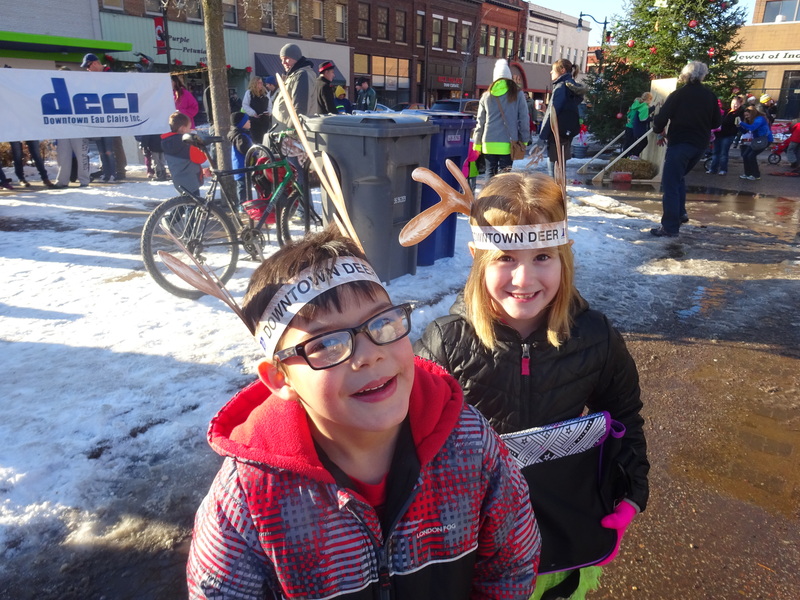 The kids became one with the reindeer as they were waiting in line for their wagon ride. 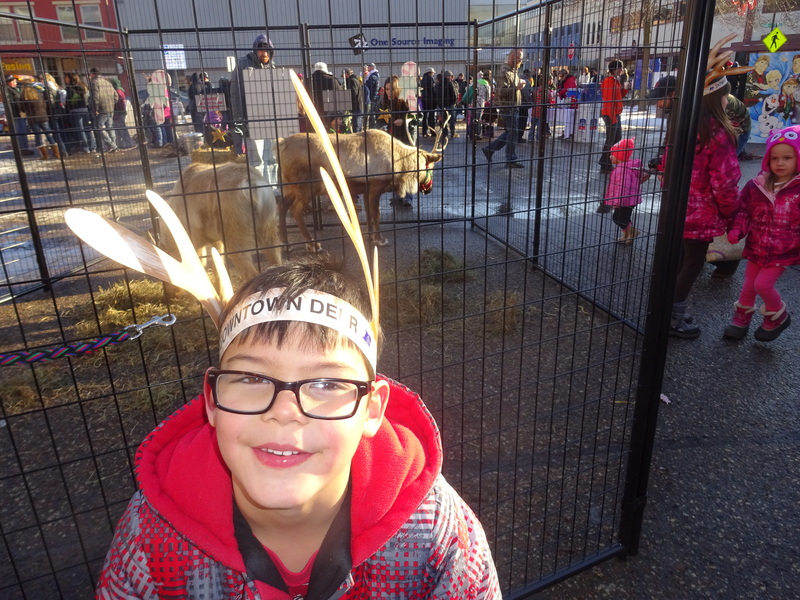 Sage bonds with the reindeer, who seemed patiently resigned to their fate. 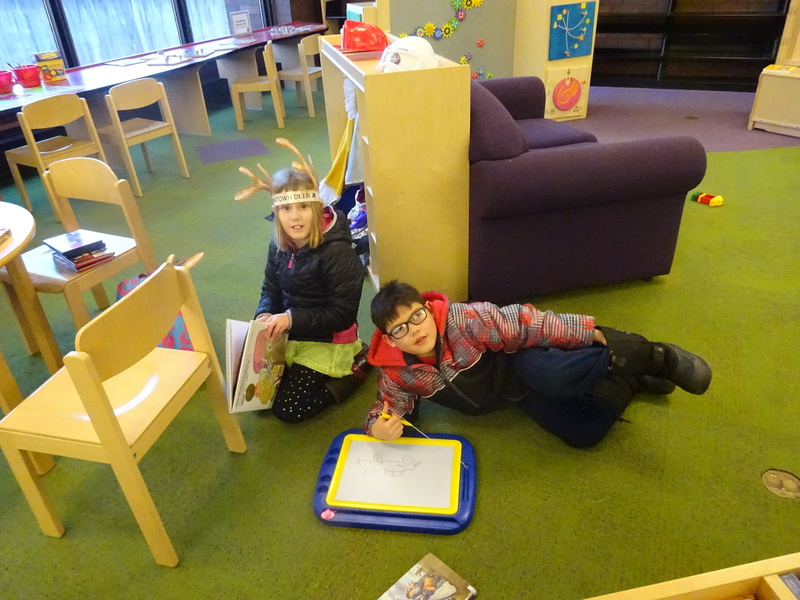 The kids went to the library to thaw after their outdoor holiday excitement. 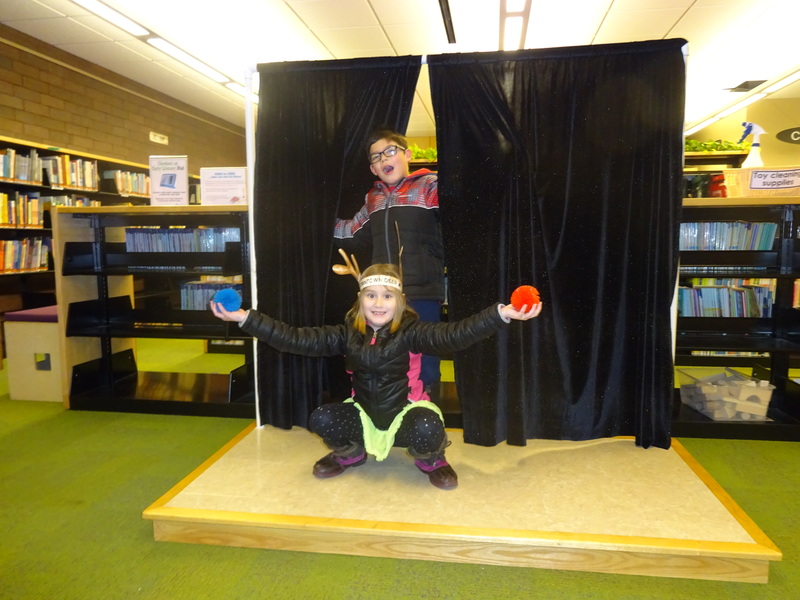 While at the library, the Muse apparently descended and inspired a theatrical performance. The Muse rode home with the kids and inspired an impromptu concert later that evening. 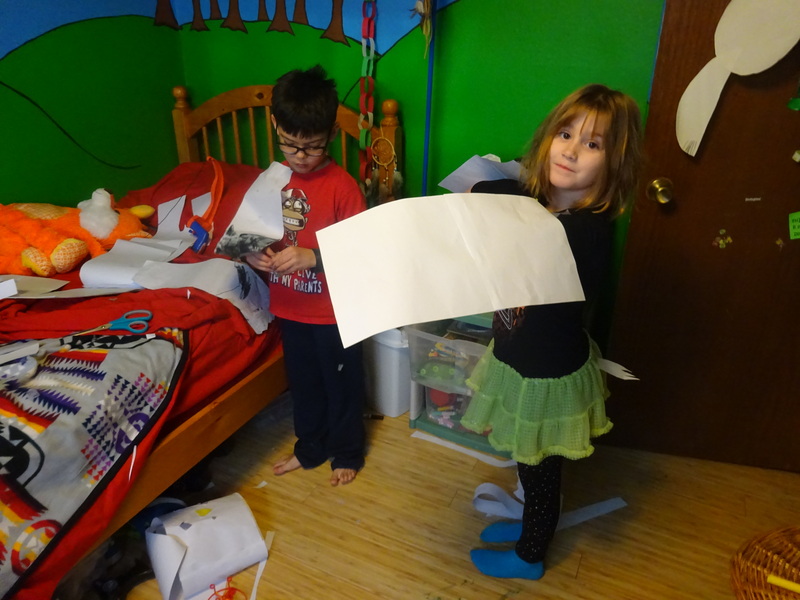 Another Muse seems to have come on duty and inspired the kids to make bird costumes out of paper. 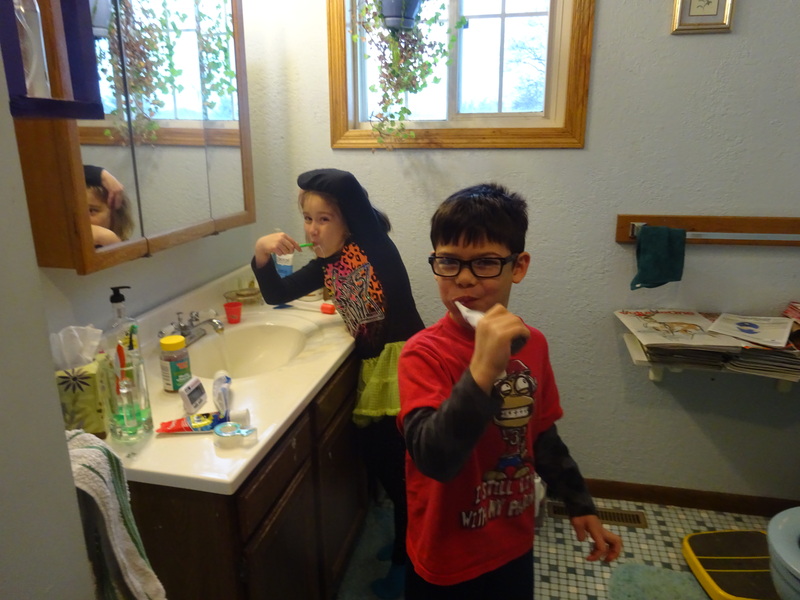 Proper oral hygiene is the responsibility of every budding artist, as these two toothbrushers are demonstrating. You prove that fun without a screen is a scream. Merry Christmas to you and yours, Rebecca! Thank you–Merry Christmas to you as well!